Here is a great widget from Google to provide a place that someone can get driving directions. 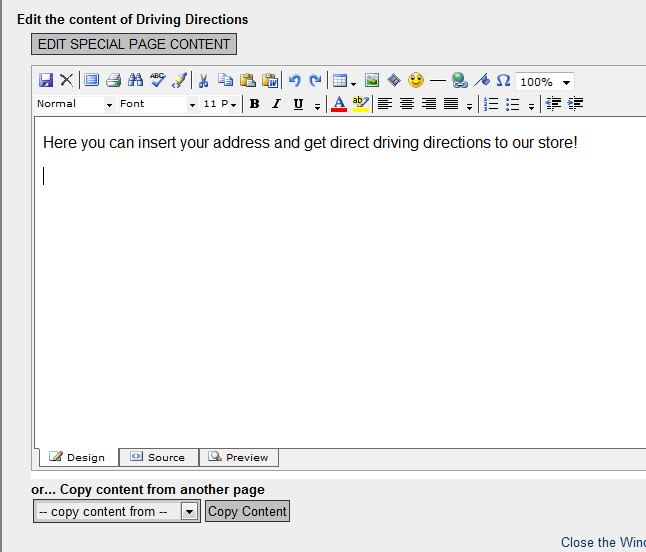 Even though we already provide a map with a clickable link to google directions, this widget will provide the directions directly on your website. 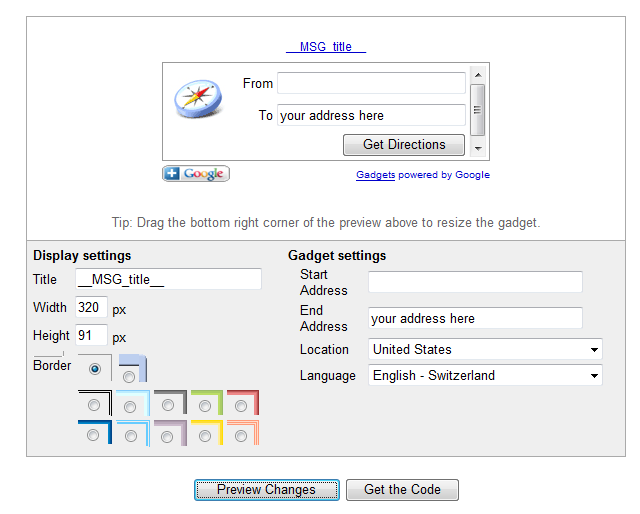 Follow the link to Google Widget and fill out the information in the bottom portion (grey area) to set up the widget. Once you have your title, End Address and border chosen, you can click on Preview Changes and it will show you what your widget will look like. Once it is the way you would like it, click on Get the Code. Click in the box and hold down CTRL + A on the keyboard to select all of the code. Now hold down CTRL + C to copy the code. Go back to the page on your website you would like to place the widget. Click on Edit Content. Click in the edit content area you would like your new widget and look for the flashing cursor. Click on the Source Tab at the bottom of the edit area. You will see your cursor blinking between the < p > < / p > tags. 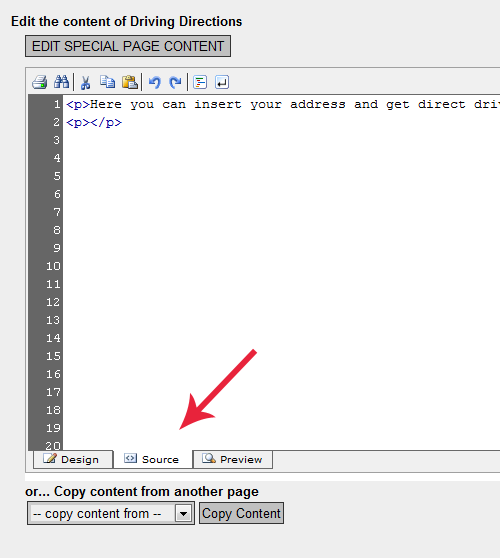 Here is where you will place the code you just copied from Google. Simply hold down CTRL + V on the keyboard to paste the code between the p's. Now if you would like the widget centered in your page, place center tags as shown below highlighted in yellow. You have to do this in the source code because the widget will NOT show in the design screen. It can only be seen on the website itself or in the source code. Include < > and / with the center, exactly as highlighted below. 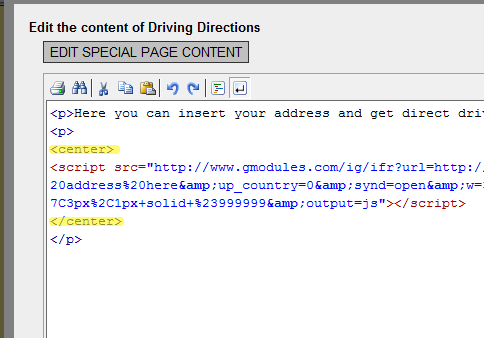 Click on Save Content and then Close the Window to view your Driving Directions Widget. Congratulations! You now have a Google Driving Directions Widget!